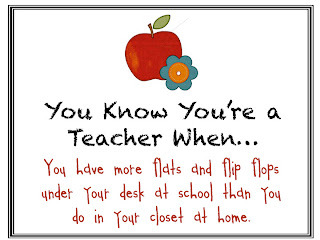 Check out more of these at the You Know You're a Teacher When Pinterest board. Thank you for joining my linky party!! And I thought I was the only one who kept all my shoes at school!! I am your newest follower! Thank you Jeannie! This was a super fun Linky Party - I was happy to participate. Thanks for following! Haha Lana. I'll admit I don't wear heels as much as I used to before I had my baby. 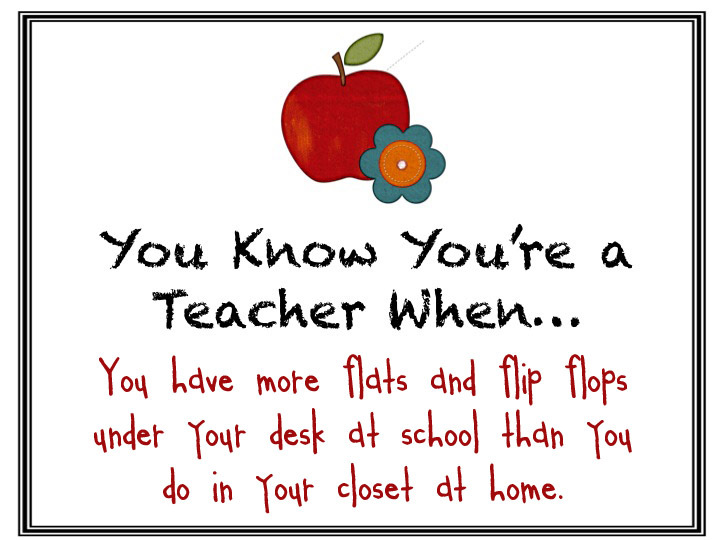 Which is probably why I really didn't miss the high heels that I left under my desk as much as the flats! I am a new follower! Super cute blog!